Republican veteran Dolours Price has accused Sinn Fein’s Gerry Adams of “betraying” the republican cause. In a Sunday newspaper, Ms Price claims that he has let down IRA Volunteers through the peace process -- and by denying that he was ever a member of the IRA. Ms Price made detailed allegations of the Sinn Fein leader’s alleged IRA involvement. Mr Adams has rejected the claims, many of which have been made before. “I think it’s very disappointing... and it’s very disappointing that some sections of the media and other political parties repeat these claims as if they were fact,” he said. 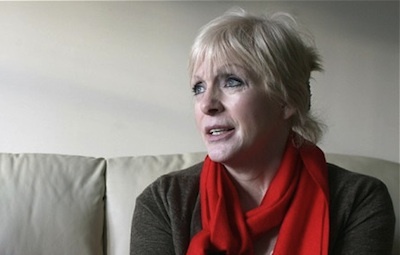 Dolours Price said that her plan in 1980 to take the Provisional IRA campaign to mainland Britain, and in particular London, was explicitly approved by Adams, in what she says was his role as OC (Officer Commanding) of the organisation’s Belfast brigade. She explained why she believed that bringing the war to Britain could help advance the campaign. She said: “I had long been of the opinion that fight as we could, the Brits would let us keep going so long as the ‘death and destruction’ was kept at a respectable distance from mother England. “I was convinced that a short, sharp shock, an incursion into the heart of the Empire, would be more effective than 20 car bombs in any part of the north of Ireland. She went on: “For the meeting, I sat on the arm of Adams’ chair. Adams started talking and said it was a big, dangerous operation. He said, ‘This could be a hanging job’. The targets were assets which were central to the British state and system: Whitehall, the Old Bailey, New Scotland Yard, and military offices. Telephoned warnings were made over one hour in advance, limiting casualties to an elderly man, who died from a heart attack, and a number of onlookers who were injured by flying glass. Dolours Price, her sister Marian, Gerry Kelly -- now a Sinn Fein Assembly member -- and another IRA Volunteer, Hugh Feeney, were arrested in connection wth the attacks and jailed for life. They immediately began a hunger strike, demanding to be transferred to prisons in Ireland. The hunger strike went on for 203 days, during which time they were force fed by the prison authorities. In 1980, Dolours and her sister were granted the royal prerogative of mercy and the following year she was freed on humanitarian grounds. She had served eight years, but continues to suffer post-traumatic stress disorder. At one point, Price claims she was chosen by Adams to be part of a select unit within the three battalions that made up the Belfast Brigade of the Provisional IRA. The group of eight hand-picked members within the IRA, labelled the “Unknowns” within the organisation, were responsible for special operations, including internal investigations to identify, interrogate, and possibly execute, informers. She said she acted only as a driver for the group, bringing suspected informers such as high-profile victim Jean McConville to the border. “The hardest thing I ever did was drive those people away and deliver them to a group of people across the border. I never knew for sure their ultimate end,” she said. Price’s links to the IRA go back to before her birth. During the 1950s, her father, Albert, was interned by the 26 County Government in the Curragh Camp, alongside Ruairi O Bradaigh, who would go on to become president of Sinn Fein and later of Republican Sinn Fein. Price and her younger sister Marian, now 59, followed in the family tradition. “It is not enough to say we were born to be republicans; it’s more precise to say republicanism is part of our DNA,” she said. It was the reintroduction of internment in 1971 which led Dolours to join the organisation. At the time, she was a member of the left-wing People’s Democracy, part of the campaign for civil rights in the North. But she approached Sean MacStiofain, one of the founders of the Provisional IRA. MacStiofain advised her to join Cumann na mBan, the women’s wing of the republican movement. Price took offence, stating that she did not want to “bandage IRA men’s wounds” but wanted to become a “fighting soldier”. An IRA army council was convened and the decision was taken to allow women to become full members. Price is said to have been the first woman to be sworn into the organisation and she and her sister soon proved they could play a key role. She remains opposed to the 1998 Good Friday Agreement and the ‘peace process’, and Mr Adams role in it. She said it was “a betrayal of the cause, a betrayal of me, a betrayal of anybody he sent out to do any kind of operation, or active service”. Between 2001 and 2006, she agreed to be interviewed on tape by Mr Moloney and former IRA member Anthony McIntyre for the Boston College’s oral-history Belfast Project, on the condition that the tapes would not be released in her lifetime. The tape is now the focus of an international legal battle by the PSNI police, which claims it is key to an investigation into the McConville case - a claim strongly denied by Ed Moloney. Asked if she is concerned that what she now says may undermine the peace process, she is blunt. Mr Adams addressed her claims yesterday described them as “deeply hurtful”. “I’ve no case to answer,” he said. “Let me say that what happened to Jean McConville was a grave injustice to her and to her family. He described Ms Price’s latest allegations to the Telegraph as “very, very serious”, “untrue” and “false”.